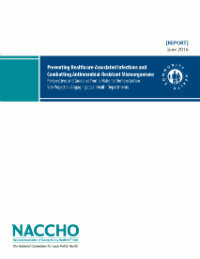 NACCHO develops innovative publications, such as issue briefs and reports, with local health officials to ensure a practice-relevant approach. 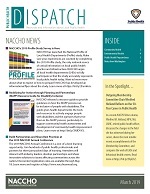 Publications are often offered to active NACCHO members for free or at a discount as a valuable benefit of NACCHO membership. 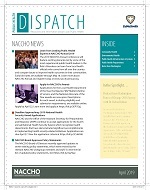 NACCHO provides most publications in digital format, as PDF downloads. To view a PDF, you will need a PDF reader such as Adobe Acrobat Reader installed on your computer or mobile device. 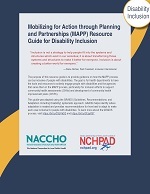 To download a publication, register for a free account on naccho.org and log in. Next, browse or search for titles, add items(s) to your shopping cart, and complete the check-out process. After your order is complete, access the publication under “My Transactions,” where you may download the PDF as many times as you would like for seven days. Please direct questions about ordering to db@naccho.org. 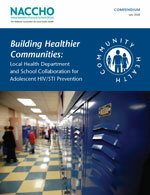 This compendium contains summaries of 11 school-based adolescent HIV/STI prevention programs implemented by local health departments in a variety of jurisdictions across the country.